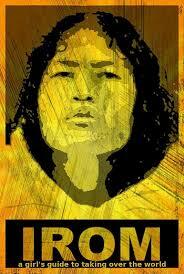 Soci al activist Irom Chanu Sharmila was on Friday forcibly taken away by the police from a small makeshift shelter outside the government-run hospital in Imphal where she was continuing her fast after being released from jail on Wednesday. Sources said 42-year-old Sharmila was being taken for a medical check-up after she declined to eat or drink. After her release from a make-shift prison in Imphal, Sharmila supported by hundreds of womenfolk and social organisations had walked free from the make-shift prison at JN Government Hospital where a room has been converted into a jail for her. Soon afterwards she had begun her fast at a place near the hospital. “I will continue to fast till my demand (withdrawal of Armed Forces Special Powers Act- AFSPA)) is met. The order of the Session Court that I am not attempting to commit suicide (by launching fast to remove the controversial Act) is welcome,” she had said. Sharmila has been on fast for the past 14 years demanding withdrawal of the act and was recently absolved of the charge of trying to commit suicide. A former journalist and social activist, Sharmila had launched her fast unto death on November 2000 after Assam Rifles killed 10 persons at Malom area here in an alleged encounter with insurgents. She has been in jail for the past many years and was released from time to time and rearrested again and again under the provisions of the Indian Penal Code for attempting to commit suicide. Manipur home minister Gaikhangam said the government was all prepared to protect and look after the health of the social activist. Even after her release from detention, Sharmila had decided to keep her vow of neither entering her house nor meeting her mother till the government repeals AFSPA. Fasting/roaming half-naked in streets are cheap tools/tricks to insult/humiliate (not defeat) British during India’s Independence. Indian regime will thrash you and throw you in jail if you do fasting now. Gandhiji never seems to have been force fed despite his numerous and long fasts. Even Israel feels the need to pass a law before it can force feed fasting Palestinian prisoners. Here we have been doing it to Irom without any law.